I would like to say I"m a HUGE fan of this series, It's beyond amazing every game they release and they NEVER get old i can play the story a million times and still love it. Im not a mega fan of the online i personally think they should just stick to solo story or maybe co-op could be their online but it makes sense to have an online, they want people to stay longer. the only way i will be playing online is if there is a trophy is involved then ill just go back to single player! 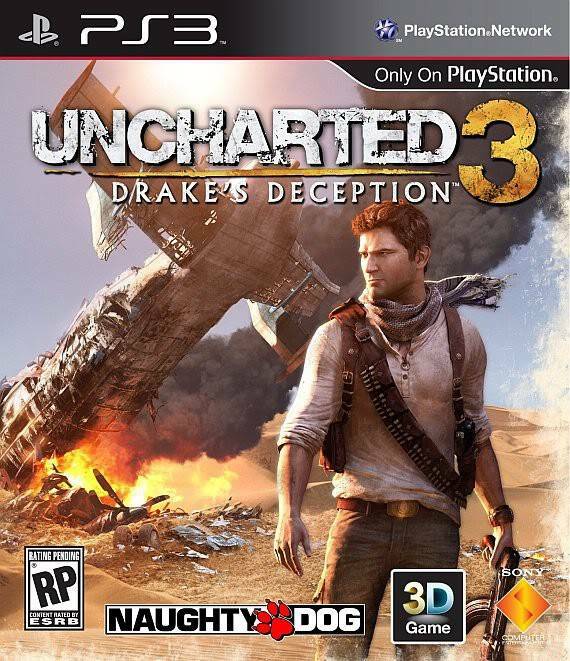 I cannot wait for this game, I wasn't remotely interested in Uncharted 1 when it released but after i borrowed it (from xKeRo- i may add) i loved it.. So i decided to get the 2nd installment myself and i was blown away.. one of the best games i ever played..
and to think i seriously only bought the first one for the trophies. i would have never thought it would be so amazing. ND has a winner everyone has to look up to them because theyre the ones setting the bar for any game. I herd AMC is hosting some kind of event from this game in october and those who purchase a premium ticket of 60 bucks gets the game early not sure if that means on that exact day or what... but since I'm going to the event I'll probably be getting an early copy or whatever. AMC is movie theater company by the way. Perhaps, and i didn't hear about this definitely looking forward to your review of the game without spoilers of course. Just found out how people will get the early release. Apparently Sony will deliver it and should arrive by the 10/25 a week before the actual release. Very cool.. the game is shaping up to be a very good one yet again.